M151A2 Air Cleaner Assembly. These are NOS units which are perfect for that high quality factory restoration. LImited Qty. 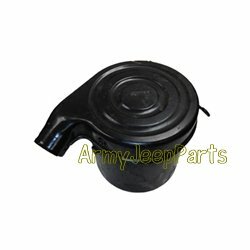 ***Please note these are only for the early non emissions jeeps. So if you have a charcoal canister set up this air cleaner is not correct.